The out journalist's kindness is infused into the Holding Hands statue, dedicated to Christopher "Drew" Leinonen. 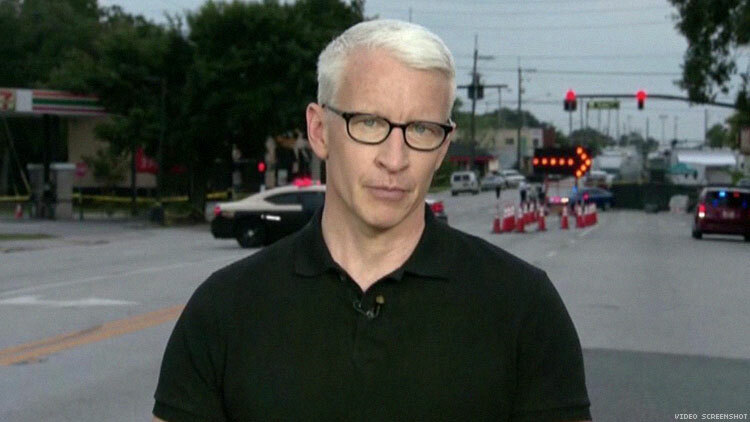 When one mother found herself lacking strength after losing a child in the Pulse shooting, she says the empathetic hand of Anderson Cooper helped her get through the tragedy. Christine Leinonen says she will think of that moment when a monument honoring her son gets unveiled at his high school. Christopher “Drew” Leinonen and 48 other innocent victims were killed June 12, 2016, after a shooter opened fire in Pulse, an Orlando gay bar. Seminole High School on February 9 will dedicate the statue Holding Hands in Leinonen’s honor. The statue was funded in part by a gay-straight alliance that the former student founded when he attended the school, and in part by The Dru Project, a charity set up in his name after his murder. Christine Leinonen feels her son died in part for being in a place where he could safely hold another man’s hand; Christopher’s boyfriend Juan Guerrero also died in the attack. But she also views the symbolism of holding hands as relevant across a spectrum of moments in life.